Axial spherical roller bearings are single-row roller bearings with an angular adjustment facility. They comprise solid shaft and housing locating washers and asymmetrical barrel rollers with cages. The cage holds the roller and cage assembly and the shaft locating washer together. The bearings can be dismantled. As a result, the bearing components can be fitted separately. Axial spherical roller bearings can support very high axial loads and enable relatively high speeds. Both under the harshest of operating conditions. For example in gearboxes, calenders, engines in marine applications and rudder engines, lifting gear, construction machinery and rolling mills. Various sizes are supplied in the X-life grade. These bearings are indicated in the dimension tables. 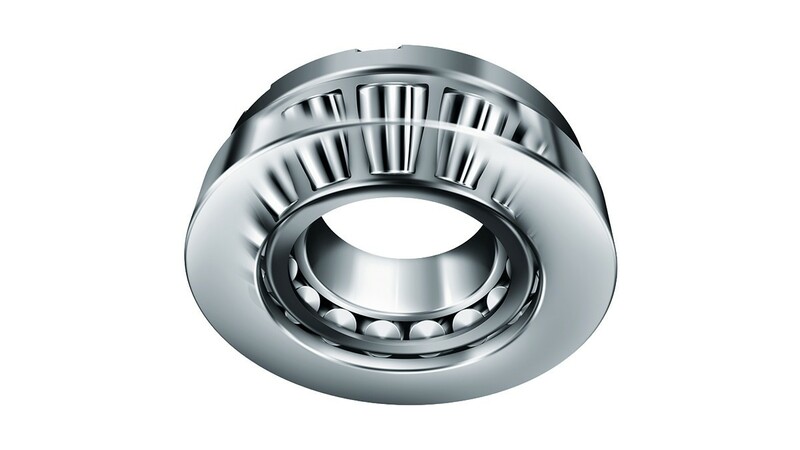 Axial spherical roller bearings open up completely new design possibilities as a result of the significantly longer rating and operating life due to the higher dynamic load ratings compared to conventional products. The rating and service life of X-life bearings can be increased while maintaining the same load-carrying capacity and design envelope, and maintenance intervals can be extended. Conversely, X-life bearings can support higher loads while retaining the same design envelope and the same service life. 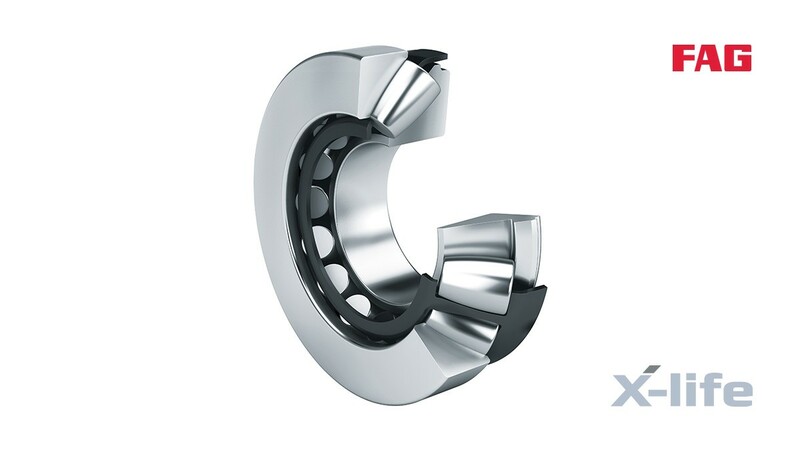 Where both the service life and the load are unchanged, the use of X-life bearings results in greater performance density, optimization of the design envelope and a reduction in design mass. This means that the overall cost-effectiveness of the application in terms of total cost of ownership is significantly improved. 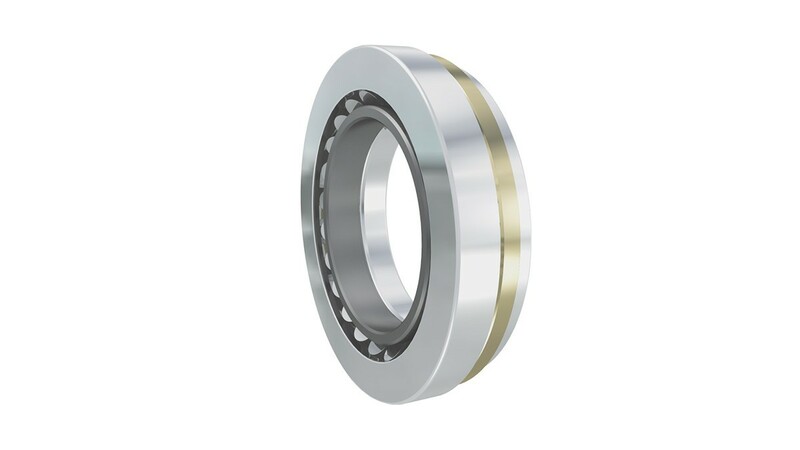 In these bearings, the raceways have optimized roughness and geometrical accuracy. This gives a higher load-carrying capacity and longer service life. X-life is the premium brand that identifies particularly high-performance products under the INA and FAG brands. They are characterized by a longer rating and operating life – the result of higher dynamic load ratings than those of current standard products. 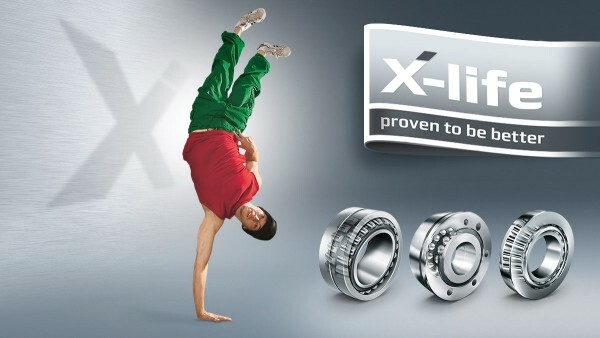 If the load and design envelope are unchanged, X-life bearings have a longer rating life. Longer maintenance intervals are possible.